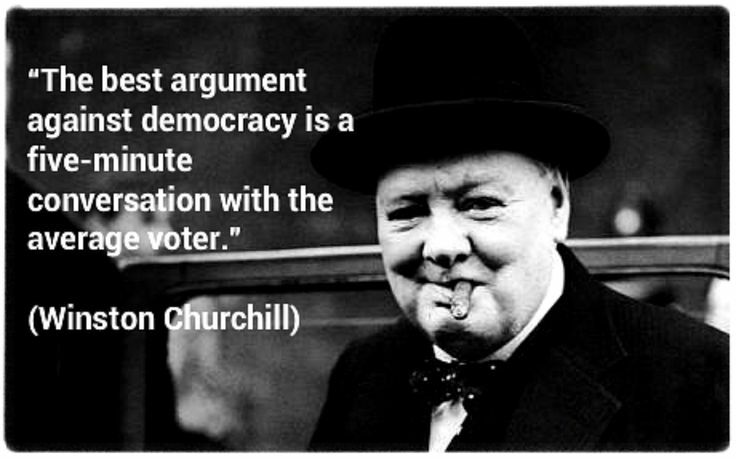 Our western society views democracy as an inherent right. We have fought wars in its name. We believe that democracy can cure the ills of many nations, and have self-righteously offered it as a panacea for countries suffering from instability and chaos. Many reform minded catholics yearn for a more democratic church; one where the people have an effective voice in current issues, and a vote in their leadership. The reality is that democracy does not guarantee good leaders. It does not guarantee a just and equitable society. Democracy is at its best when the people are invested in the process and make the effort to be informed. Sadly, we experience wide spread voter apathy and a media that too often resorts to schlock reporting rather than in-depth analyses. There is a soap opera quality to daily political news. What shocking headlines will hook us into reading an article or viewing a video online? What new dirt has been dug up on the current roster of candidates? Whose star is rising and who is tumbling into electoral oblivion even before the polls open? What cheesy plot is being rehashed yet again? Our news is delivered in sound bites, often wrapped with blatant bias. We find out more about the personal lives and missteps of candidates than about the real issues at hand. The serious voter will delve into the story behind the head-lines and listen to or read speeches in their entirety. They will explore candidate and party platforms and search well written, intelligent commentaries and opinion pieces. It takes serious work to be a serious voter. Yet, many of us shirk the duty to educate ourselves about issues. Too many don’t even make the effort to vote. Seriously….we don’t give a damn. And, this does not bode well for democracy. Would democracy have a better chance in the church? I confess to being a church news junky. I scour catholic sites for the latest news. My shelves and Kindle are filled with more church related books than novels. But, church news can take on the same “soap opera” quality as does political coverage. It is human nature to be hooked by headlines that announce more sensational stories. When church leaders speak, their quotations can also be taken out of context or the full issue is not presented clearly. Even with a well written article, discussion boards show how quickly the main message can be thrown aside in order to better serve the narrow agenda of some posters. If we were offered the opportunity to vote within our church, would we? How many catholics really care about church issues beyond Mass on Sundays? How many catholics would participate in a leadership vote if given the chance? How many catholics would lend their voices to a dialogue on issues affecting women and men in the church? Would an open electoral process help unify us, or simply magnify the existing polarity between progressives and traditionalists? I admit that these are simple musings, as I watch our electoral process unfold yet again both in Canada and the USA. It has made me think about our own church politics. I view the popularity of a Donald Trump with horror. Then, again, there are bishops in the church that are darlings to one crowd and enemies of another. I believe that it is time to reform the hierarchical structure of our church. Authority and voice can no longer be barricaded and protected behind the walls of ordination. Are we, as lay women and men, invested enough in the issues of our church to “give a damn”? Do we try to understand and inform ourselves about the issues facing our local, national and world church? Are we willing to enter into dialogue with those who think differently from us, to help seek common ground rather than feed divisions?